Target carries mostly Sterilite brand plastic storage boxes. Fred Meyer has the best selection of all the brands. Haven’t checked WalMart yet. And Costco sells nifty flip-top boxes, not the kind I’m looking for. So why is this even remotely important for a missionary-to-be? Packing. And not for the storage unit, either. Packing for the plane! Yep — we’ll be putting all of our stuff into Rubbermaid boxes (Rubbermaid are most flexible and resist cracking) and weighing them to be sure they are under 50#. That is the way you move to Africa, I’ve been told. Why? (Good question) Because everything you bring should be useful, including the gear you pack stuff in. So, these “box-suitcases” will do a better job of storing things than normal suitcases would. And I hear they keep the scorpions out too! You don’t have to tell me twice! That is one of the many little, but actually big, things I’ve been thinking about these days. And isn’t that just the way it is in life, with God, and in serving Him? We sometimes get funny looks when we say we are going to be dorm parents in Africa. After all, who ever heard of being dorm parents? Is it even a significant work? Will we make a difference for the Kingdom of God? We really can’t make a great defense. 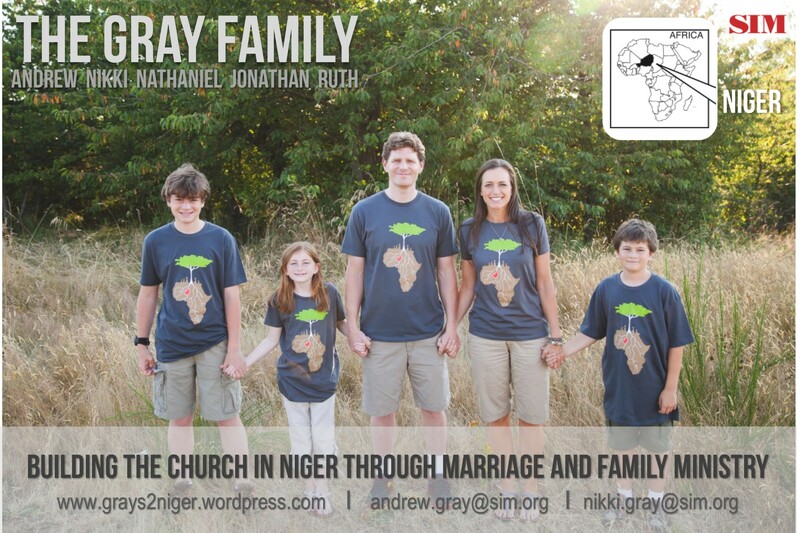 All we know is it will be a big deal to a number of faithful Christians serving in Niamey, Niger. That is enough for us Grays — we wanted to find a way to serve the community there, and this was the need! Simple as that. Andy and I spent a good portion of our 30’s trying to be significant. Searching for it. Striving for it. People-pleasing for it. We fell into the trap! God rescued us out of that pit, and now we have a chance to live freely and serve freely, in obedience to His call! Hooray for being dorm parents!